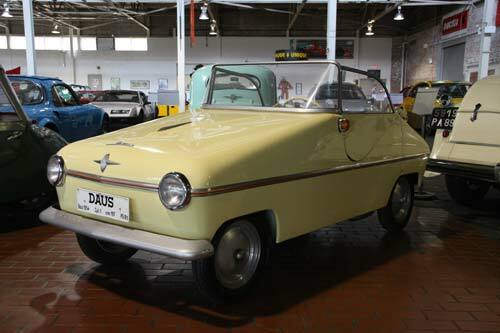 Otto Daus was one of those rare individuals that not only decided he could build his own car, he actually did it. Otto actually started out by building and flying his own airplane. From 1929 to 1947 Otto was the Chief Designer for the company Vidal und Sohn, which made industrial 3-wheel trucks called the Tempo. In 1948 Otto left Vidal und Sohn, and started his own engineering firm which continued to do work for Vidal. It was during this time that Otto's engineering firm built the Daus Prototype.